Nurses and the nursing staff forms the backbone of the core operations that take place in healthcare establishments. Starting from attending the patients to assisting the doctors – the nursing staff takes care of all critical jobs. To keep the nursing department fully staffed is a necessity for health establishments if they are aiming to serve the public 24 x 7. Vacancies that arise and the need for manpower that is generated due to workload expansion shall be treated with immediate effect to keep the unit functioning with full efficiency. Now, it’s obvious that health establishment doesn’t have time out of their core activities to indulge in recruitment activities. So, to fulfill this demand, they outsource services from dedicated agencies who are working in the domain of nurse and medical staffing solution delivery to get their manpower needs fulfilled. Nurse staffing agencies provide that necessary staffing solution which these healthcare establishments look for. The time bound and efficient service delivery that these recruitment agencies offer is what that the health establishments look for. Alliance recruitment agency is one experienced and renowned nurse staffing agency that has not only placed nurses and nursing staff across India but in foreign locations like UAE, Qatar, UK, USA, Canada, Saudi Arabia, etc. The wide network of recruiters and clients helps us to get the right choice as per the needs of both the employer and the job seeker. Apart from the nurse and nursing staff, there are other kinds of vacancies and manpower needs that healthcare establishments float. These vacancies/manpower needs include recruitment for the post of lab assistant, technician, machine operator, radiologist, compounder, etc. To serve all these recruitment needs along with the need for nurses and nursing staff Medical staff nursing agency or medical staff recruitment agencies are best suited. These recruitment agencies provide comprehensive and holistic staffing solutions to healthcare establishments and that too as per their needs. Alliance recruitment agency as your medical and nursing staff agency offers you all these benefits along with its committed and professional service delivery. We, at Alliance, understand the importance of quality manpower solution for your business and hence aim to work in that direction. Alliance recruitment agency is a name that has been serving to the staffing needs of healthcare establishments and firms from more than a decade. The across the global network of professional recruiters makes us a perfect choice for delivering to your manpower needs. 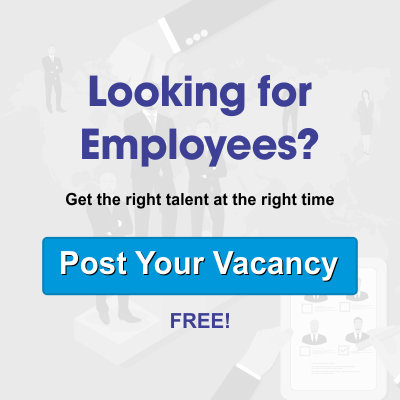 Jobseekers looking for job opportunities in nursing and healthcare domain and healthcare establishments looking for nursing and medical manpower solution services can visit our website https://www.alliancerecruitmentagency.com and register their inquiry.